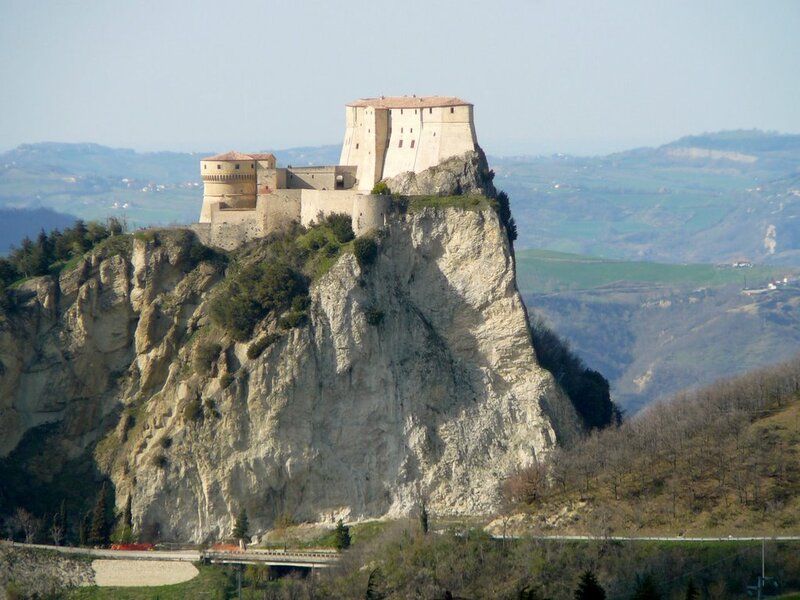 The village of San Leo, has ancient origins. 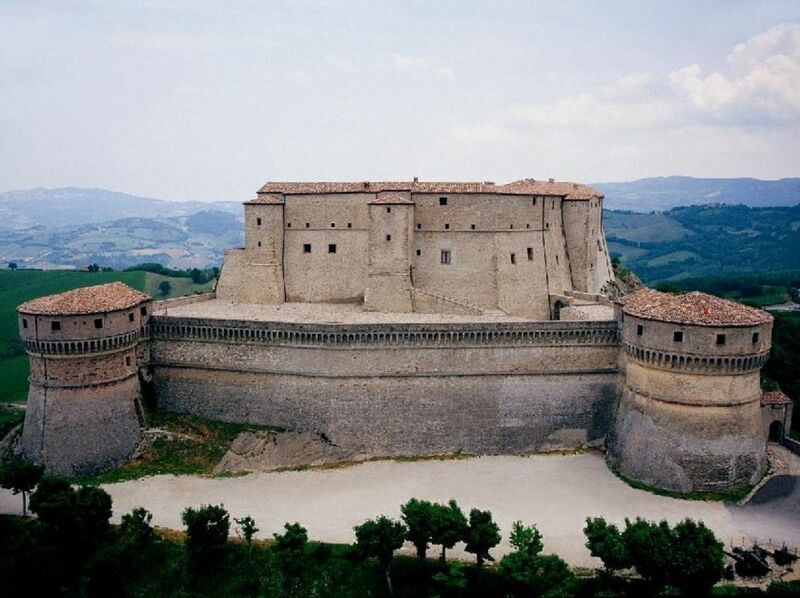 It was built on a very big rock, with the perimeter walls steep and perpendicular to the ground. You can arrive at the village just through a little street carved into the rock. 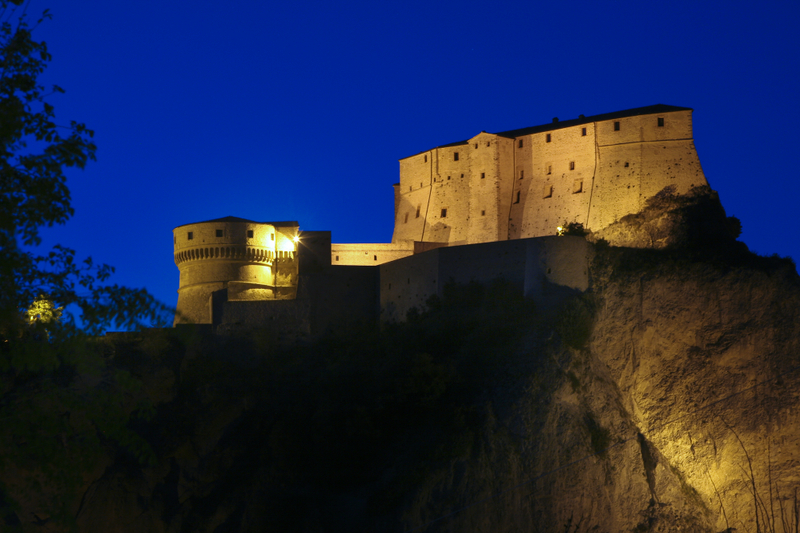 On the highest point of this impressive cliff, stands still today the Rocca di San Leo. Inside, it contains a remarkable architectural heritage of the territory of San Leo: the Forte, the pre-Romanesque Pieve, the Romanesque cathedral of XII century, the Museum of Sacred Art in the Medici’s Palace, the ruins of several castles, including those of Pietracuta and Piega, the Franciscan convent of S. Igne, and the church of Montemaggio.